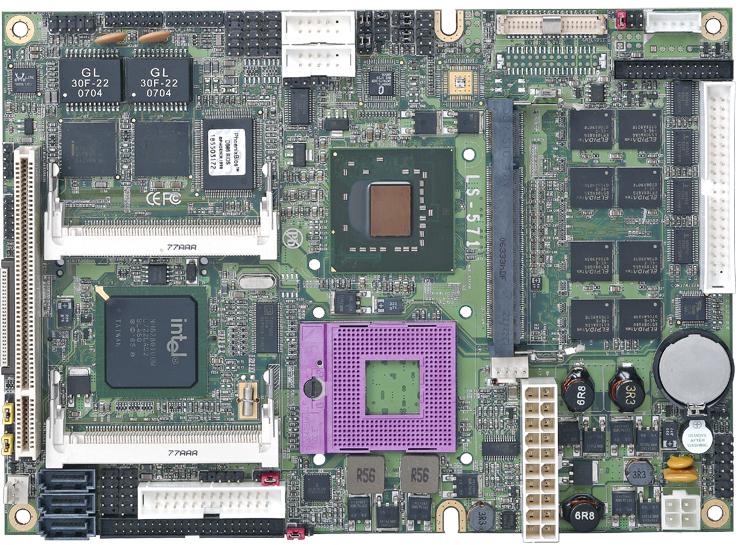 Taiwan Commate Computer Inc.(COMMELL), the worldwide leader of Industrial embedded SBC, introduced the 5.25" SBC LS-571 that mainboard incorporates an Intel Socket P pin-out compatible with Intel Core 2 Duo Mobile Merom processors @ FSB 533/800MHz support for T7700, T7500, T7300, T7100 , Validated with the Mobile GME965 Express chipset, providing excellent flexibility for developers of embedded applications by offering outstanding graphics and I/O bandwidth, asset management capabilities, storage speed and reliability. The LS-571 provides these advantage features & an excellent performance-per-watt choice in the Mini-ITX form factor, it is optimized for a broad range of embedded applications such as interactive clients, gaming, medical, POS, Digital Signage, Surveillance and industrial automation equipment. CPU: Intel® Core™ 2 Duo processor Merom with Socket P @ 800 MHz FSB. Memory: 1 x 200-pin DDR2 533/667MHz up to 2.0 GB. Optional onboard 1.0 GB DDR2 SDRAM . Chipset: Intel® GME965 and ICH8M. VGA Interface: built-in Intel® extreme GMA X3100 Technology. LVDS interface: Onboard 24-bit Dual channel LVDS connector. Enhanced IDE: One UltraATA33 IDE interface supports up to 2 ATAPI Devices. Serial ATA: 3 x Serial ATA interface with 300 MB/s transfer rate. LAN Interface: 2 x Intel® 82573L Gigabit Ethernet . Audio: Realtek ALC888 HD Audio. Solid State Disk: IDE1 supports 44-pin DiskOnModule with +5V power supply. CompactFlash Type-II socket on the solder side . GPIO interface: Onobard 8-bit Digital I/O interface. Extended interface: 2 x Mini-PCI socket and 1 x PCI slot. Intel® Core™ 2 Duo processor Merom with Socket P @ 800 MHz FSB. 1 x DDR2 533/667 MHz SODIMM up to 2.0 GB . Optional onboard 1.0 GB DDRII SDRAM. 3 x Serial ATA II Interface with 300 MB/s transfer rate. CompactFlash Type-II on the solder side.